Published on Saturday, February 21, 2015. Baltimore award winners (left to right) David Short, George Sawyer, Norman Sartorius, and Stacey Lee Webber. 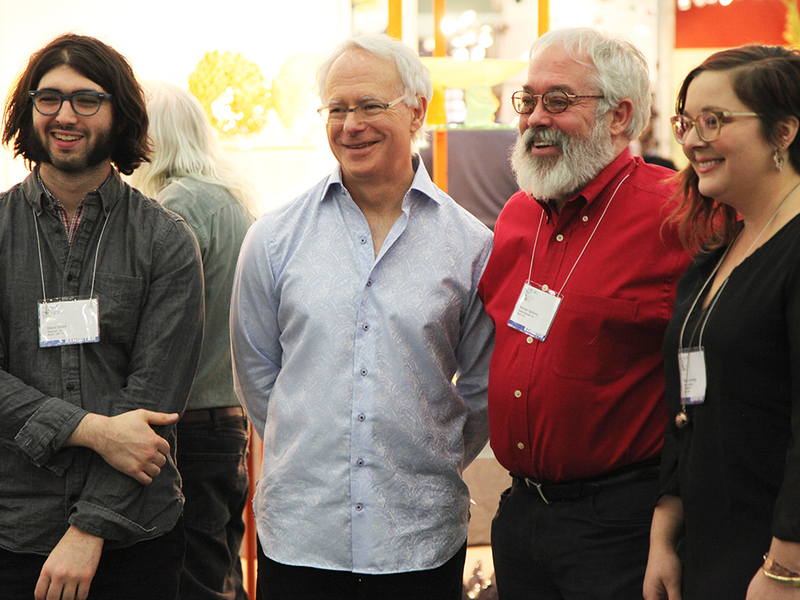 A tradition established at the very beginning of the American Craft Council Shows, the Awards of Excellence recognize extraordinary work in a field of stellar artists. 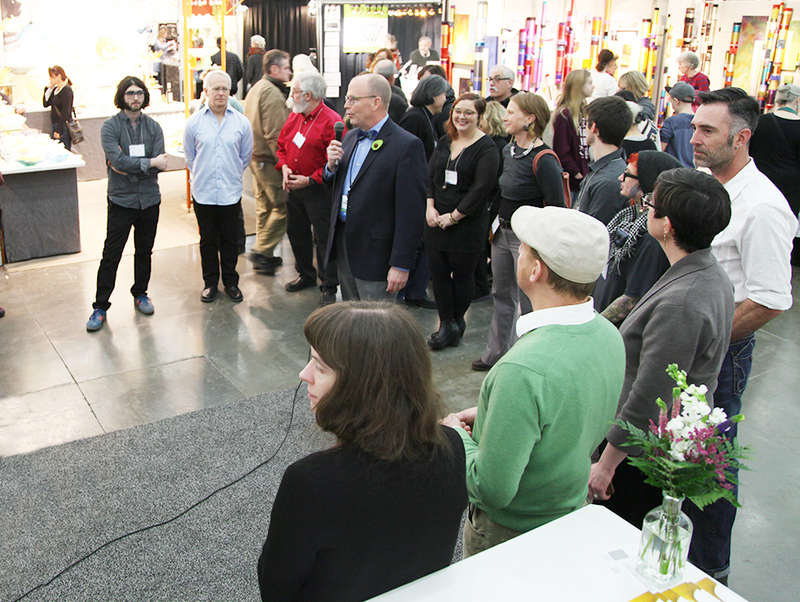 Accolades include guaranteed entry into next year’s Baltimore show and a cash prize. This year, the ACC is thrilled to include new awards sponsored by the James Renwick Alliance and the Society of North American Goldsmiths in addition to the return of the Collectors of Wood Art in recognition of media-specific excellence and innovation. In addition, the trustees of the Council are pleased to recognize one of our emerging show artists exhibiting as part of the inaugural Hip Pop program. Congratulations to the recipients of the 2015 Awards of Excellence in Baltimore, and thank you to our award partners the James Renwick Alliance, the Society of North American Goldsmiths, and the Collectors of Wood Art. ACC executive director Chris Amundsen addresses the crowd at the 2015 Awards of Excellence ceremony in Baltimore.